A comfortable mattress and set of nice sheets can make a huge difference when it comes to creating a relaxing sleeping environment necessary for getting enough of a sound and restorative sleep. 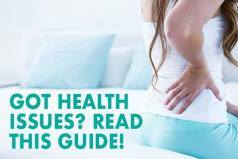 But you probably won’t get a good night’s sleep or pain-free rest without the right pillow that will completely adapt to the shape of your neck and head and perfectly work for your preferred sleeping position. Your pillow acts like a bridge between your head and neck and keeps them in alignment with the rest of your body, and that’s why you should make sure that you get the best one for your specific needs and sleep preferences. There are many pillows to choose from on the market these days, but many people opt for memory foam pillows as they provide a better contour to your head and neck than other types of pillows. 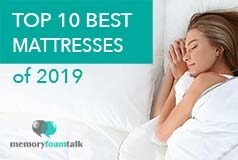 They are known for their pressure relieving properties, classic memory foam hug and extraordinary comfort, but how to pick the right one for you? In today’s review we’ll take a look at the Zoned IDLE Gel Memory Foam pillow entirely made of a special IDLE Gel Memory Foam designed to be cooler and softer than any other premium memory foam and provide amazing comfort and support in all sleeping positions. It was created by IDLE Sleep, an online mattress company that sells dual-sided, luxury mattresses which can be flipped and turned for a longer life-span. (Read our IDLE Sleep Hybrid and IDLE Sleep All Foam mattress reviews). Unlike many other pillows, the IDLE Sleep pillow does not come compressed in a plastic package. Instead it comes in a case which can be reused to store the pillow or keep it clean during the travel. You may notice a slight off-gassing smell with this pillow upon unboxing it that comes from the special foam used in its construction, but the smell is non-toxic and will dissipate within a few days. The pillow itself is offered in two dimensions: Queen, which is 16″ x 29“ and King, which is 16″ x 35″. It is made of a unique Zoned IDLE Gel Memory Foam that is a cooler and softer and that maintains its shape better than any other traditional memory foam. So, it combines the cooling benefits of IDLE Gel Memory Foam with the comfort and breathability of Zoned Technology for creating an optimal level of comfort and support necessary for a quality and restful sleep. The pillow is one flat block of this special dense yet soft foam designed to suit a wide range of sleepers and provide them with a personalized support by conforming to the unique shape of their heads and necks. Although we generally prefer pillows made of shredded memory foam that allow a good degree of customization so we can take the filling out or add it back or at least manipulate it to adjust it to our sleep preferences, we felt this one to be extremely comfortable. It has small holes punched into it all which act like ventilation, allow greater airflow and work together with a breathable cover to create a cool and comfortable sleeping surface. Finally, the cover of the Zoned Idle Gel Memory Foam pillow includes a luxurious soft rayon from Bamboo and is suitable for sensitive skin. The cover is breathable, plush, gentle, and it is highly effective in temperature regulation as it allows greater airflow through the pillow and stays cool to the touch all night. It is well-made and can be used almost as a stand-alone pillowcase if you don’t want to use the separate pillowcase. It is also removable, so you can take it off and wash it if necessary, though you can’t wash the very pillow. The IDLE foam will absorb a lot of water, and it will take a lot of time to dry naturally. You probably won’t manage to dry it completely before the mold appears. The IDLE Sleep pillow is one of the most comfortable and supportive memory foam pillows made entirely of one flat block of memory foam that we have slept on so far. As I have already mentioned, it combines the cooling benefits of Idle Gel Memory Foam with the comfort and breathability of Zoned Technology to provide you with an optimal level of comfort and support for a restful and sound sleep. This pillow incorporates a special formula, which is why its gel memory foam is cooler, softer and better in maintaining its original shape, regardless of how long you use it, than any other premium memory foams. Thanks to its Zoned Technology, it will cradle your head and neck and provide them with just the right amount of support without causing the appearance of pressure points. So, it will keep your spine aligned while perfectly conforming to your head and neck for maximum comfort. It is suitable for all sleeping styles, especially back and side sleeping, but it can also be a good pick for stomach sleepers who prefer such pillows. It also sleeps quite cool due to its gel memory foam construction and holes that allow air to circulate freely through the pillow. A soft Bamboo cover effectively wicks away moisture, aids in breathability, prevents the build-up of heat and that sticky sweaty feeling usually present with many other memory foam pillows. 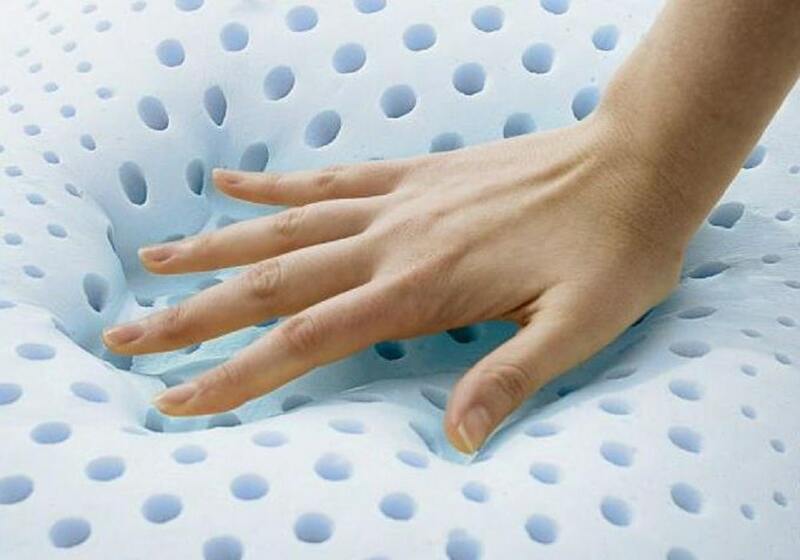 This makes the IDLE Sleep pillow one of the coolest, most breathable pillows available. This pillow comes in at $99 for a Queen which is a bit pricey, but it is a reasonable price given the quality materials used in its construction and the overall comfort it provides. Although the IDLE Sleep pillow doesn’t come with a trial period, it comes with a 5-year warranty. It also ships for free and will arrive to your doorstep in 3-10 business days. Click here to buy the IDLE Sleep pillow at the best price. 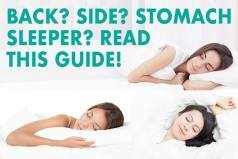 Is the IDLE Sleep Pillow Right for You? Cool-sleeping pillows – The IDLE Sleep pillow is one of the coolest and most breathable pillows available on today’s market. Its gel memory foam construction disperses excessive body heat while the holes all over it allow greater airflow. Its soft Bamboo cover effectively wicks away moisture, aids in breathability, prevents the build-up of heat and that sticky sweaty feeling typical for most memory foam pillows. If you like conforming pillows that sleep incredibly cool, then this IDLE Sleep pillow may be the right choice for you. It will provide you with a perfect balance of comfort and support and keep you cool throughout the whole night. We are primarily side sleepers, and it provided our heads and necks with excellent support while in this position and kept them in alignment with the rest of our bodies. Thanks to its Zoned Technology, it will cradle your head and neck and provide you with just the right amount of support without causing the appearance of pressure points. It is a unique pillow that comes with several extraordinary features, and it is totally worth its price and definitely an option worth considering.